This Office Sign Includes All the Necessary Equipment to Make Wall Signs! 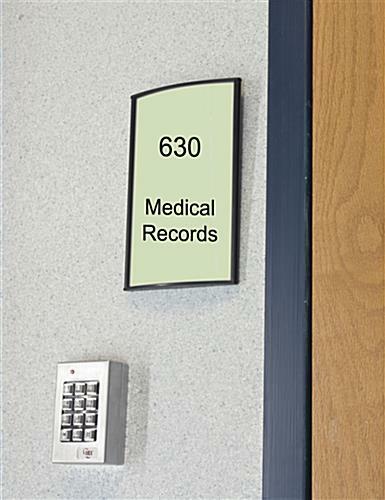 These Corporate Signs Are Door Signs for Interior Nameplates and Safety Signs! This Office Sign Can Be Purchased Now! Media Size: 5.5" x 9"
2.5" x 8.5" 3" x 4" 3" x 5" 3" x 8" 3" x 11.5" 3" x 15" 4" x 5.5" 4.5" x 24" 5.5" x 6"
5.5" x 15" 6" x 7.5" 6" x 8.5" 7.5" x 10" 7.5" x 11.75" 8.5" x 11" 8.5" x 16.5" 11.5" x 17"
Double-sided foam tape for mounting to most flat surfaces. 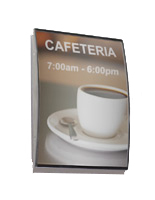 Comes with a non-glare lens to prevent sunlight from hindering view of displayed business signs. Suction cup included to easily remove the overlay for quick graphic changes. 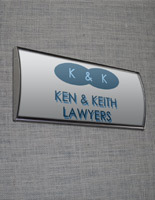 This office sign, like nameplates may be affixed to many flat surfaces. 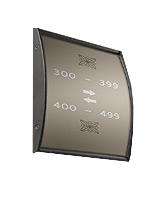 The signage holder presents the information in either portrait or landscape set-up. 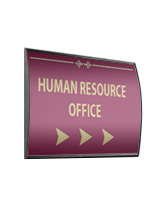 This office sign, similar to a business signage holder frame, comes with the VHB tape that is double-sided for attachment to surfaces. The tape on the back is sure to stick in the desired position. 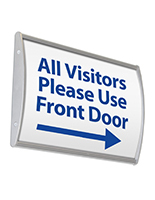 This office sign, similar to a lobby sign holder, is an integral part of way finding displays or informational campaigns. The name holder can stand alone or be a part of elaborate directions. 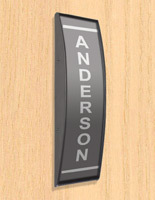 This office sign is designed for indoors.The name holder belongs in an entry way, hallway or lobby to direct guests to their desired destination. 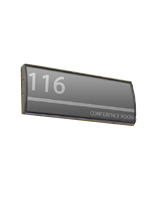 This office sign with a black finish coordinates with most decors and inserted messages. Many establishments, such as schools, government buildings, office complexes, medical facilities and others use the advertising tools. This office sign is an economic option that presents corporate signage in an aesthetically appealing manner. The anodized aluminum construction with plastic end caps is sure to withstand years of use! 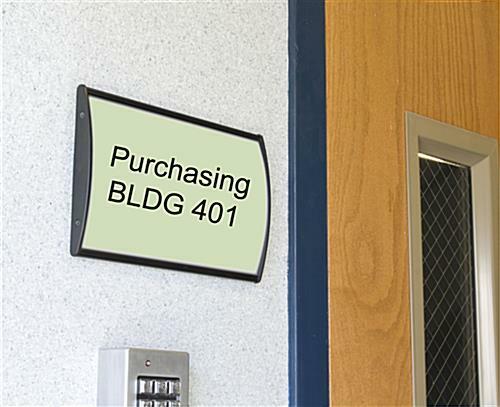 This office sign, similar to a nameplate, includes the anti-glare lens to stop lighting from affecting the message. The provided lens also prevents dirt or other materials from destroying the messages. This wall display, office sign is not sold with images or other artwork. Customers are able to create and print out their custom signage with a printer at home. This office sign allows for fast signage changes. The included suction cup helps users remove the acrylic overlay and insert the images. 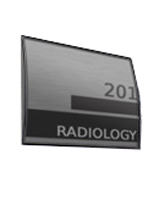 32.0" x 9.3" x 0.875"